What Evidence is Used in a DUI Case? - Crooks, Low & Connell, S.C.
You have been arrested for driving under the influence (DUI) and you are awaiting trial. You are concerned about the consequences of a conviction, but you are also wondering what exactly the prosecutor’s office has to use against you. Can you expect to go to court, simply deny that you were driving under the influence, and then go home cleared of all charges? Seeking to have evidence excluded from trial (e.g., if the arresting officer violated your Constitutional rights). Your Chemical Test Results – Under Wisconsin law, you are required to submit to chemical testing when you are arrested for drunk driving. Your blood alcohol content (BAC) – as measured by a breath, blood, or urine test – may be one of the prosecution’s key pieces of evidence against you. Your Field Sobriety Test (FST) Results – Did the arresting officer ask you to perform FSTs during your traffic stop? There are three standardized FSTs – the horizontal gaze nystagmus (HGN) test, the walk-and-turn test, and the one-leg stand test – and the arresting officer’s interpretation of your FST results may be admissible at trial. Your Driving Behavior – If the arresting officer observed you speeding, weaving, drifting onto the shoulder, or exhibiting any of the other driving behaviors that can be indicative of driving while impaired, the officer may testify as to his or her observations prior to your traffic stop, as well. Your Self–Incriminating Statements – Did you exercise your right to remain silent? If not, anything you said may be used against you in court. 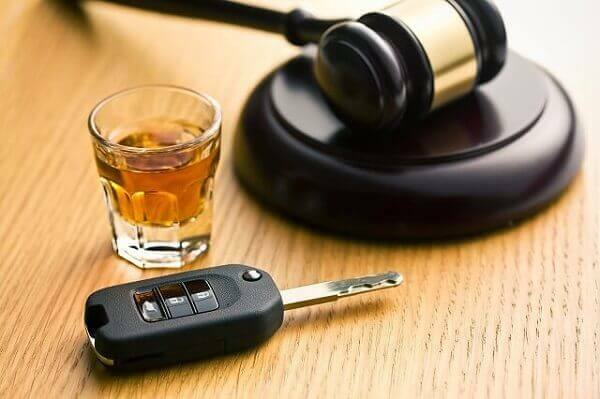 Eye Witness Testimony – If there were witnesses to your DUI arrest (for example, if you were arrested in connection with an accident), the witnesses may be called to testify as to your apparent level of impairment. Video Evidence – If your driving or your arrest was caught on video by the arresting officer’s dash cam, the prosecution may seek to use the recording to corroborate the arresting officer’s account of what happened (e.g., your performance on the FSTs). When facing DUI charges (technically referred to as “operating while intoxicated” (OWI) and “prohibited alcohol concentration” (PAC) in Wisconsin), it is imperative to know what evidence the prosecution has against you. You are entitled to know, and your attorney will be able to request the prosecution’s evidence during the “discovery” phase of your trial. Crooks, Low & Connell, S.C. is a Wausau, WI criminal defense law firm that provides experienced legal representation for DUI cases in North Central Wisconsin. If you have been arrested and would like to speak with an attorney, call us at (715) 842-2291 or request a consultation online today.